Ditch the tortillas and make this veggie-centric collard green burrito filled with spicy sweet potatoes, fresh corn salsa, and chipotle yogurt. Yum, yum. Sometimes I spend months planning recipes in advance. Currently, I have soups, stews and other pre-Thanksgiving comfort-food recipes on the list. But those things will have to wait because my Farmhouse box showed up this week with corn, peppers, tomatoes, and collard greens that were big as my head. So I was left with the obvious un-planned choice – a Collard Green Burrito! 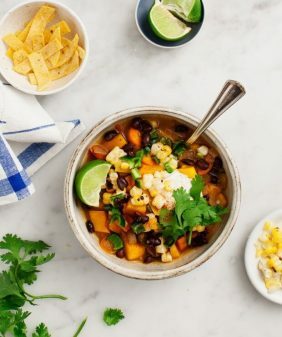 – and because it’s fall, I decided to stuff some roasted sweet potatoes in here too. 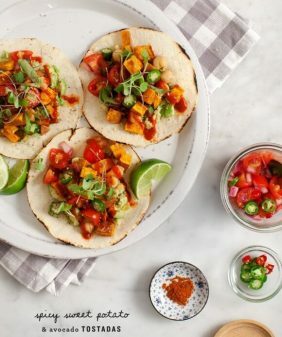 Of course, you can fill these with whatever you like to stuff your burrito with… if you don’t have tomatoes, you can use store bought salsa, or if you don’t feel like making rice, make cauliflower rice. Of course, avocado or guacamole would be a welcome addition here as well. I made a light chipotle sauce using Greek yogurt for this collard green burrito. For a vegan option, use the cashew-based sauce from this recipe. Happy stuffing! 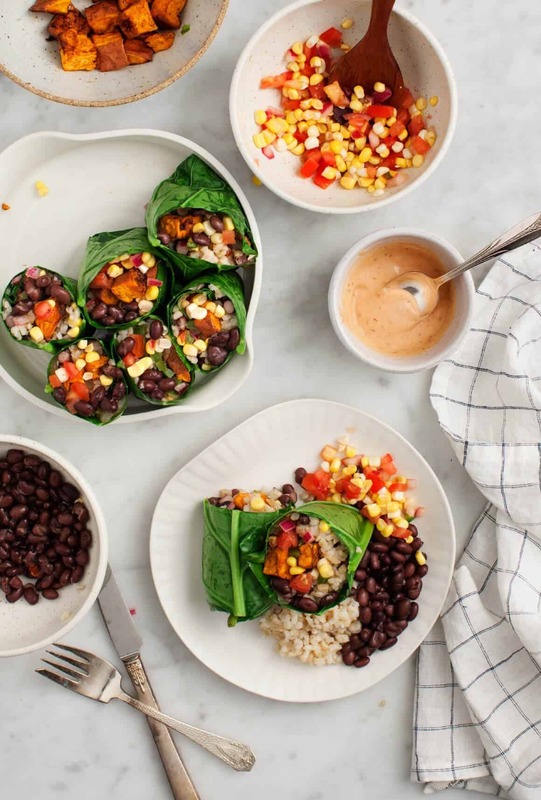 Skip the tortillas and make these fun gluten-free burritos stuffed with sweet potatoes, brown rice, black beans, fresh corn salsa, and chipotle yogurt. Skip the yogurt or use this cashew sauce. Preheat the oven to 400°F and line a large baking sheet with parchment paper. 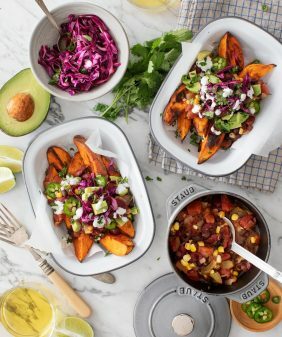 Spread the sweet potato cubes onto the parchment paper and toss with the olive oil, chili powder and generous pinches of salt and pepper. Roast for 25-35 minutes, or until the sweet potatoes are tender and nicely browned. 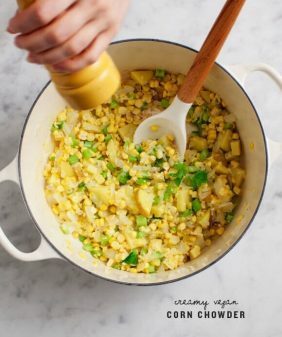 Make the corn salsa: In a medium bowl, mix together the corn, tomatoes, onion, garlic, lime juice, olive oil and a few generous pinches of salt. Chill until ready to use. 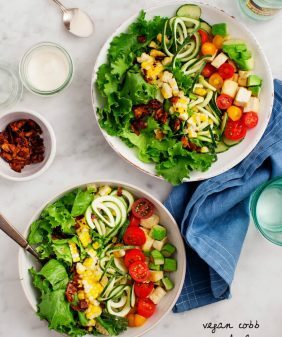 Make the chipotle yogurt: In a small bowl, mix together the Greek yogurt, chipotle paste, lime juice, olive oil and a pinch of salt. Chill until ready to use. (Note: if you’re using a canned chipotle pepper, you will have to blend this sauce together in a food processor). 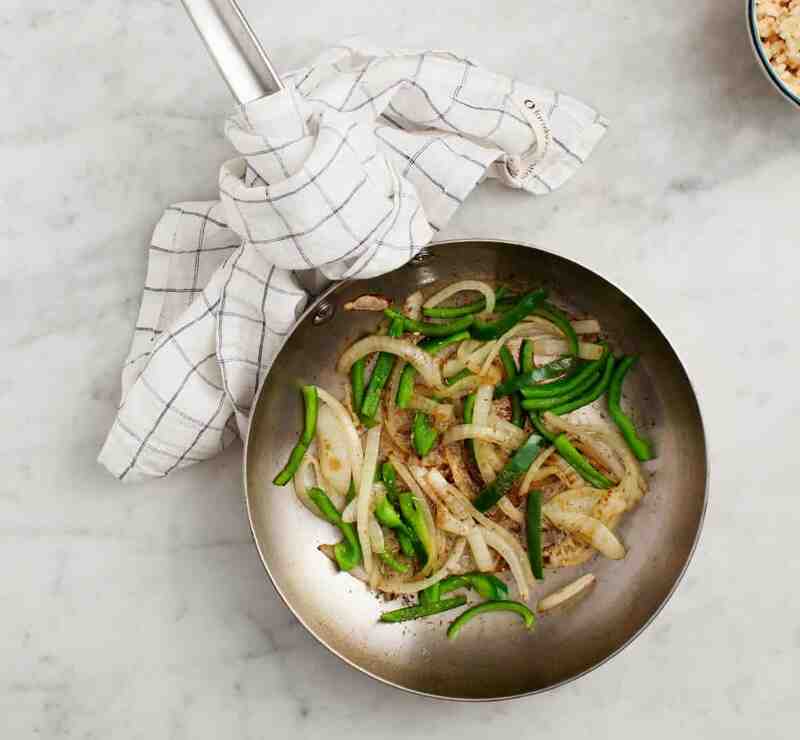 Make the onions & peppers: Heat the 1 teaspoon of olive oil in a medium skillet over medium heat. Add the onion and a few pinches of salt and pepper and cook until it begins to soften, about 2 minutes. Add the peppers and continue to cook until lightly browned, about 8 more minutes. Stir in the oregano and lime juice, and then add the garlic. Remove from the heat and set aside. In a deep skillet, bring 1 to 2 inches of water to a boil. Reduce the heat to a simmer and, one at a time, dip each collard green leaf in the water until just softened, about 10 to 20 seconds, or until bright green. Set on towels to dry. Assemble the burritos: Trim the thick part of the stem from the collard leaves. Fill each burrito with some of the sweet potatoes, brown rice, black beans, and onions & peppers. Add a dollop of corn salsa and chipotle yogurt and wrap like a burrito (see photos). Serve with any extra sauce on the side. 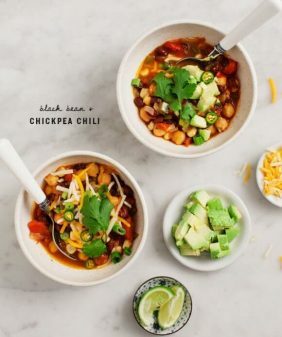 *Note: you can add more chipotle depending on the level of spice that you like. These are so pretty and they must taste so good. Thank you for sharing. Looks delicious! Wow, these look amazing. I do TrimHealthyMama, and these would be an “E” fuel (carbs). Can’t wait to try them. As a Southern gal, I love my collard greens! This is right up my alley! Beautiful. whoa! 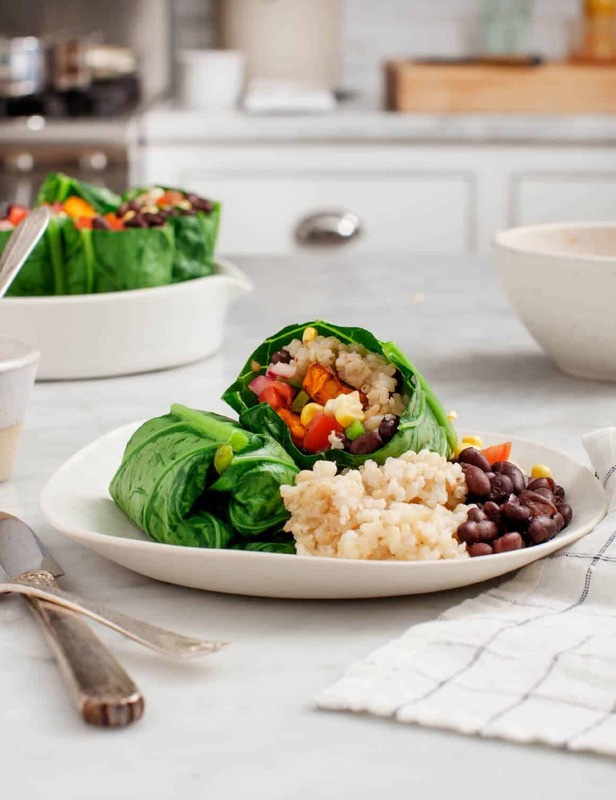 had to check this out from the picture, wow, what am interesting serving with the collard green wrap, never seen anything like it, also love the sweet potato, black beans and brown rice! Thank you for this! I have been SO impressed with every single one of your recipes I have tried so far, but this one just has to be my new favorite. Absolutely delicious!! I’m talking and out loud “OHHHhhhhhh my god” upon first bite. Bravo!